very soon we will also be contactable on your mobile devices. we thank you for your visit and look forward to your enquiry. The Esprit Quartett is a classical but modern, professional string ensemble based in Zurich. The quartet offers an extensive repertoire that is perfect for both formal and informal concerts or events. The musical direction of our quartet ranges through classical, jazz and pop music and is sure to enhance any celebration. Our performance will lend something unique to your special wedding day. The quartet is also wonderfully suited for corporate events, christmas parties, christenings or birthday celebrations. Members of the Esprit Quartet can perform as a trio or duo, when appropriate. We look forward to hearing from you! Our extensive repertoire encompasses the masterpieces of classical and romantic chamber music as well as the music of today. Our innovative programs cast new light on the classics, illuminating affinities between the classic and the contemporary. On your special day, the Esprit Quartett is dedicated to fulfilling your musical wishes. Whether in the church or at a civil ceremony, our music will make your wedding truly unforgettable. After consultation with you, we will choose the perfect music to ensure that your ceremony or after party is a success. You can browse our audio samples to search for the music that appeals to you or talk to us to make a special request. The Esprit Quartett will bring beautiful melodies to your christmas party, gala dinner, reception or presentation. Whatever the purpose of your event, we can find the right musical program to provide your occasion with additional festive sparkle. We offer a wide range of musical styles from classical, tango, jazz or pop. So get in touch with us. We would be delighted to help you in planning your event. The Esprit Quartett provides private concerts or a suitable musical setting for all festive occasions. Whether a concert of multiple works or performance of a single masterpiece, we can work with you to compile a concert that is perfectly tailored to your musical taste. We perform together effectively as a quartet, trio or duo. Please get in touch with us for an obligation free quote or just listen to our audio samples for inspiration. Chloë Kascha is the founder and cellist of the Esprit Quartett. In Switzerland she has performed with the Capriccio Barockorchestra, Camerata Zürich, Kammerphilharmonie Graubünden and the Zuger Sinfonietta. Chloë grew up in a musical family in Sydney, and went on to study with Bernard Greenhouse in Boston and Uzi Wiesel at the Sydney Conservatorium of Music. After graduating she moved to Berlin to work as a freelance musician. There she performed with various ensembles including the Berliner Kammerphilharmonie, the Berliner Kammerorchester, the Babelsberg Filmorchester and the Leipzig Kammerorchester. Since 2010 she performs as cello soloist at the Schaubühne Theater Berlin in the play “Fräulein Julie”. The award-winning production has been staged worldwide at numerous theater festivals. Furthermore Chloë accompanied Udo Jürgens in 2014 in his “Mitten im Leben Tour” with the Pepe Lienhard Orchestra. Currently Chloë lives and performs in Zürich and in Berlin. Mihai Cocea is the principal Violist of the Brussels Philharmonic. In Zürich Mihai recently completed his degree at the Zurich University of the Arts as a student of professor Lawrence Power. He is a third prize winner of the “Watson Forbes” International Viola Competition 2009, finalist in the Yuri Bashmet Viola Competition 2013 in Moscow and a semi-finalist of the 2011 Windsor Festival String Competition. Mihai has been a winner of national and international awards including the Grand Prize and Best Performance of a Contemporary Work at Icon Arts in Breaza in 2005, Second Prize at the Delius Competition, London and in 2013 he was awarded the Yuri Bashmet Special Prize at the Tertis Viola Competition in Isle of Man. Mihai has participated in international festivals such as: Melting Potes Musik, Nimes, France, Sampling Bukarest, Vienna, Austria, Intercultural Exchange, Beijing, China, Sermoneta, Italy, SONORO-International Chamber Music Festival. 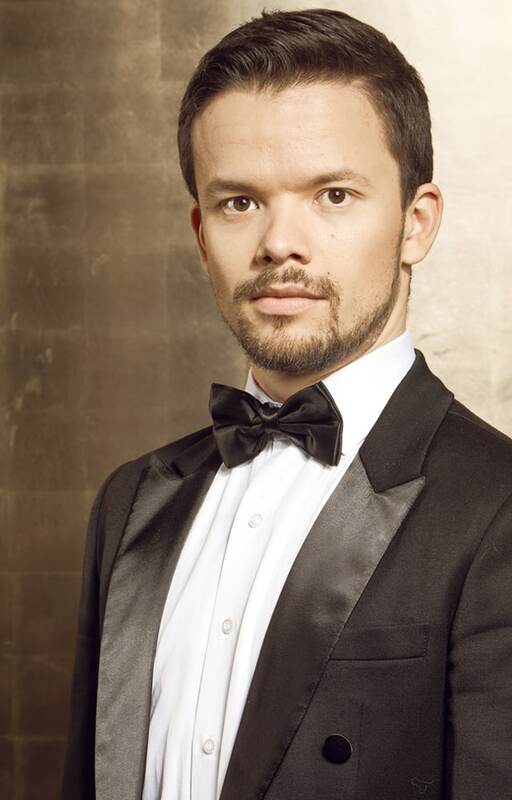 He has performed as a soloist with international orchestras such as: Nova Russia, St. Andrews Youth Orchestra, Bristol Metropolitan Orchestra, Moscow Soloists and many more. Rustem Monasypov, was born in Kazan,Russia into a musical family. At five years of age he began his violin studies. From 2008 until 2013 Rustem studied at Moscow P. I. Tchaikovsky Conservatory in the violin class of Prof. Vladimir Ivanov. During this time he participated in several competitions, festivals and concert programs such as the International Violin Competition Canetti, The Y. Yankelevich Fondation concert program, the laureate of International Festival of the Performing Arts «Bakhoriston», and the International Chamber Music Festival «Musica Mundi». In 2013 Rustem moved to Switzerland to continue his education at the Zurich University of the Arts. In Switzerland he has participated in several competitions and festivals such as the Marguerite Meister Scholarship Award, the RAHN Music Competition, 2nd prize, the Kiwanis Competition, 1st prize, the Duttweiler-Hug Competition, 1st prize, Staefa Jazz Days and the Swiss Chamber Academy. 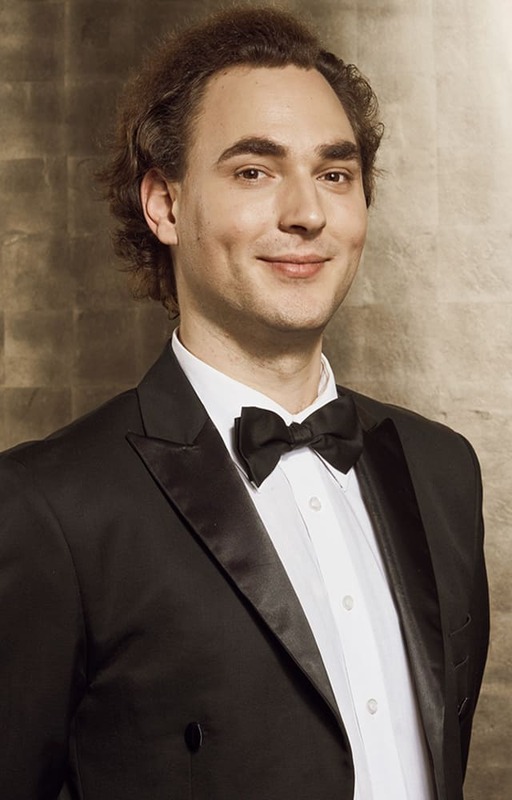 Rustem is the concertmaster of the Giraud Ensemble Zurich as well as performs regularly with the Orchestra Musikkollegium Winterthur, Zurich Chamber Orchestra, Sinfonietta Zurich, Ensemble Cinéphonique and the Authentic Light Orchestra. Rachel Kisacanin performs regularly with the Zürcher Kammerorchester – ZKO, Festival Strings Lucerne, the Argovia Philharmonic and the Luzerner Sinfonieorchester. Born in Marseille, Rachel obtained her Diplôme d’Etudes Musicales from the Conservatoire Regional de Musique in Lyon, under Francis Duroy and Francois Payet-Labonne. She went on to hone her skills with Roland Daugareil before attending the Royal College of Music in London, where she earned a Master of Music in Advanced Performance under the guidance of Yuri Zhislin. Rachel completed her musical training with Raphaël Oleg, earning a Master of Arts with Distinction in Specialized Music Performance from the Musikhochschule in Basel in 2012. Parallel to her studies, Rachel was invited to play with the National Youth Orchestra of the Netherlands, Lorin Maazel’s Castleton Festival in Washington and the Lucerne Festival Academy. She also gained valuable orchestral experience playing with the BBC Symphony Orchestra and London Symphony Orchestra, under such distinguished conductors as Bernard Haitink and Esa-Pekka Salonen. The team work with the Esprit Quartett was exceptionally professional; they administered all our creative wishes with much flexibilty. Thank you for the wonderful musical performance. We sincerely recommend the Esprit Quartett. With intensity and passion the Esprit Quartett's interpretation of Piazzollas's “Four Seasons” made the street life of Buenos Aires in Zurich come alive. We couldn't have imagined a better Semester begin at the Latin American Center! The Esprit Quartet under the direction of Miss Chloë Kascha, succeeds time and time again in enchanting our guests with their musical perfection and dedication in providing first-class classical and modern repertoire. Due to their extraordinary professionalism and fliexible musical programs, the Esprit Quartet, whether solo or as a group is our first choice for the musical accompaniment of events where the first violin plays romance. I had the great pleasure of performing the flute quartet in D major, KV 285 with the Esprit Quartet. It was a treat! They are excellent strings players, highly professional and very nice, funny people. Preferably again tomorrow! Over Christmas 2017 we were able to enjoy a fabulously performed concert by the Esprit Quartet. Our hotel guests were extremely impressed by their diverse repertoire and high musical quality. We were also particularly fascinated by the friendly and relaxed nature of the ensemble members and especially by Ms. Kascha. An admirable and highly recommendable quartet that is able to perform classical music for any occasion. Thank you very much! Our gala dinner was marvelously musically highlighted by the Esprit Quartett. Their musical performance gave the event a special elegance in which the guests and ourselves were thrilled by! «The exquisite harmonies of the Esprit Quartet accompanied our wedding with grace, and helped shape the fairytale like memory that we still cherish today. We were very impressed with their performance. It was a wonderfull concert for my farewell, the Quintett in C Major from Franz Schubert. I was amazed and a little surprised how mature the young quintet performed the Schubert..how melodious, sophisticated and unified. The church with its many concert visiters was filled with the music from Schubert!